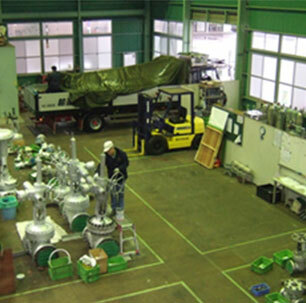 Maintenance of industrial instrument and automatic control valve, etc. Maintenance is indispensable for long term safety, stable operation and improvement of productivity of any plants. 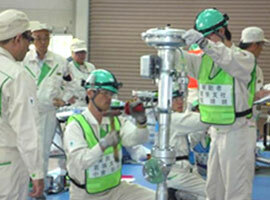 For large plants like power plants and manufacturing plants, regular inspection is legally required. 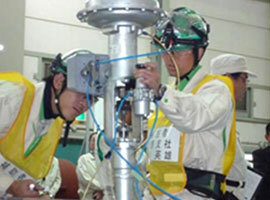 For power plants, periodical inspection is carefully carried out to inspect the operational condition and integrity of major facilities and devices by overhaul and leakage inspection; periodically replace consumable parts, etc., and early detection and treatment of deterioration or abnormality. We will satisfy customer’s demands by our long time accumulated experience in maintenance in the field of electricity and instrumentation to enhance plant’s reliability and safety. 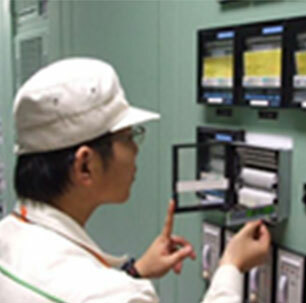 In order to ensure the reliability and safety of plants, we provide comprehensive and efficient maintenance service with our diverse experience and reliable techniques, from measuring instruments like flowmeter, thermometer, manometer, liquid-level gauge to plant’s central control equipment of automatic control system. 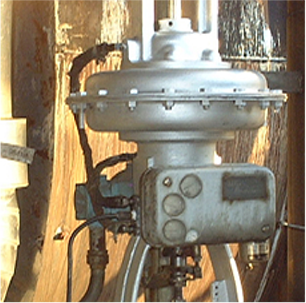 There are various types of automatic control valve, each type of valve or maker have specific features that requires to be handled by different skills. Therefore we provide a variety of maintenance services corresponding to multi or exclusive purpose use and manufacturers with high reliability by our accumulated technical know-how and maintenance skills of various types of valves and automatic control valves. 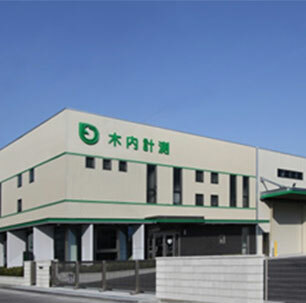 Maintenance services for control valve, manual valve, electric valve, safety valve’s body and actuator are taken care at two location: Chiba Factory and Himeji Factory as takeout maintenance. 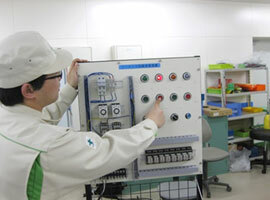 Therefore we could effectively provide the high quality maintenance service in these factories. We have a proven track record and high quality installation in a wide range of industries like public power stations, environmental plants, petroleum and chemical plants. With long time accumulated experience, we could provide quick and proper installation work to ensure the reliability and safety of our service to customers. In order to maintain the quality of control system for supervising plants and respond to technical improvements, measuring instruments and control equipment is indispensable. 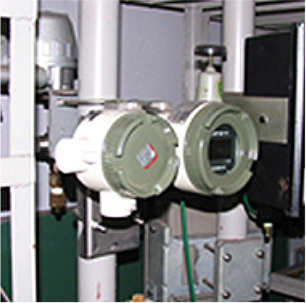 In order to appropriately meet customer's requests like electrical and instrumentation system’s installation or remodeling, and to implement highly safe plant operation, our aim is to support the installation of the most suitable electric and instrumentation system environment with the latest and advanced technology. In addition, we also closely cooperate with the instrumentation equipment manufacturers for their latest information to have proper selection of equipment. 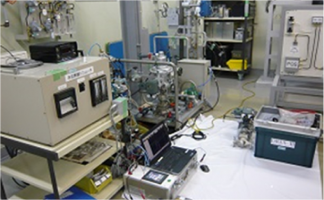 In instrumentation design, it is necessary to build a system that measures and controls appropriately so that the facilities can operate efficiently over a long period of time. We have diverse accumulated maintenance know-how and expert staffs in various technical fields to carry out from examination to consideration of maintenance operability. Therefore we could provide long-term operation of the facilities with safety and high quality condition to satisfy all our customer’s demands. 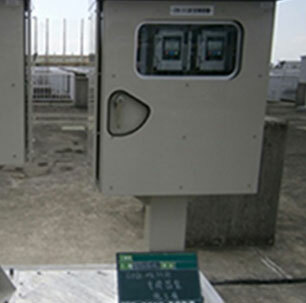 Plant startup support is necessary when a new plant such as power plant constructed to check and ensure its safety operation and performance as the first operational stage. 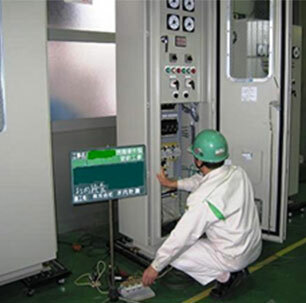 After the electrical and instrumentation equipment are installed, we will carefully check and confirm whether they are installed correctly as the plan drawings and if the equipment and system work normally and safely in trial operation. For the large-scale plants, there are a wide variety of both types and quantities of electrical and instrumentation equipment that require a lot of technical expertise. 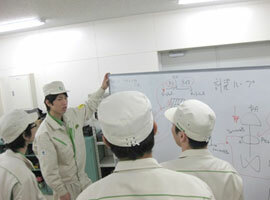 Besides, the startup like power plant may take as long as one to one year and a half for the construction projects. Additionally, in response to increasing requests from plant manufacturers not only for domestic but also overseas factories, chances are we will also engage in overseas work. As performing maintenance of the important infrastructures like power plants, various technical knowledge and experience are required like electricity, measuring instruments, control, machinery, etc. 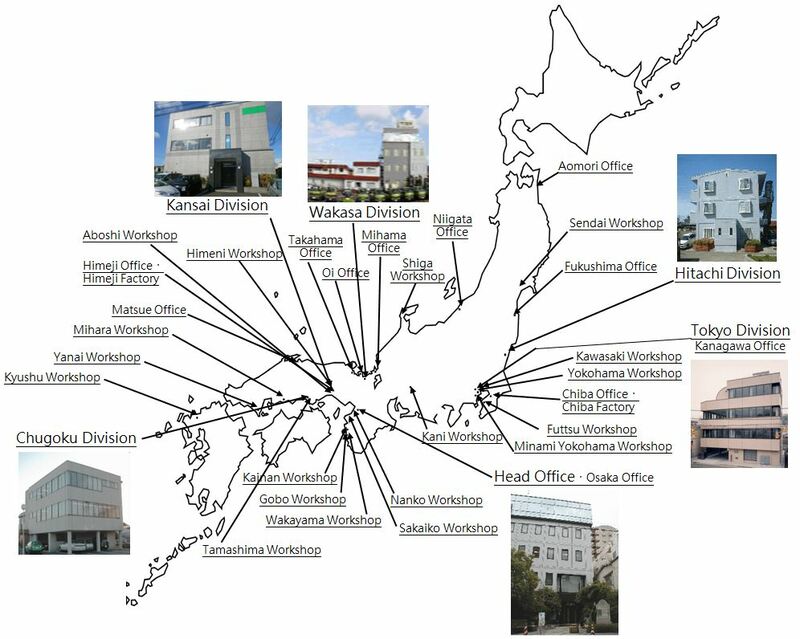 Therefore in Kiuchi’s education and training system, we train our employees to be able to deal with many types of technologies. Our education and training system was built to train employees for acquiring higher technology knowledge organized by professional field and skill level. Especially our aim for the follow-up training program is training three year employees to be able to work independently. In the first 3 weeks, the new employees will be trained for basic attitude, manner and basic knowledge necessary for working environment. There will be one-on-one training with an experienced employee (who take responsibility to instruct the new employee) through different worksites and types of work to be able to grow and meet the required works. Besides, through practical skill training and presentation report acquired acquired skills at head office, we always support the new employees to improve technological capabilities to be able to work independently after 3 years. Every year, we hold “Technical skills contest” in which experienced employees represent each division compete against each other with comprehensive evaluation of safety, quality and technical skills. By competing with each other in the contest, it will stimulate further improvement in our employee’s technological capabilities in order to enhance customer’s trust. 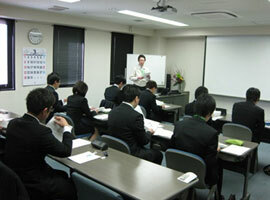 Company will provide support for exam preparation course, examination fee, etc. of required professional qualifications classified as “Special recommended qualifications”. 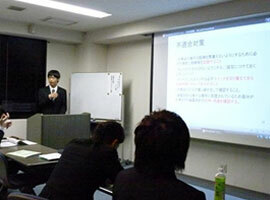 Besides, employees will be rewarded incentive payments for their effort as achieving the qualifications. Among required professional qualifications for our business, knowledge of electricity is indispensables. 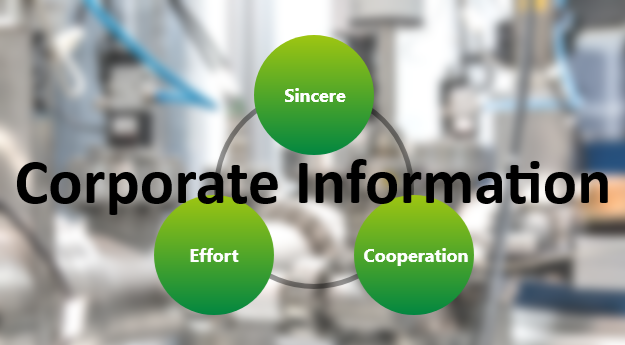 Therefore we also have an e-learning program to technically help employees improve their knowledge.